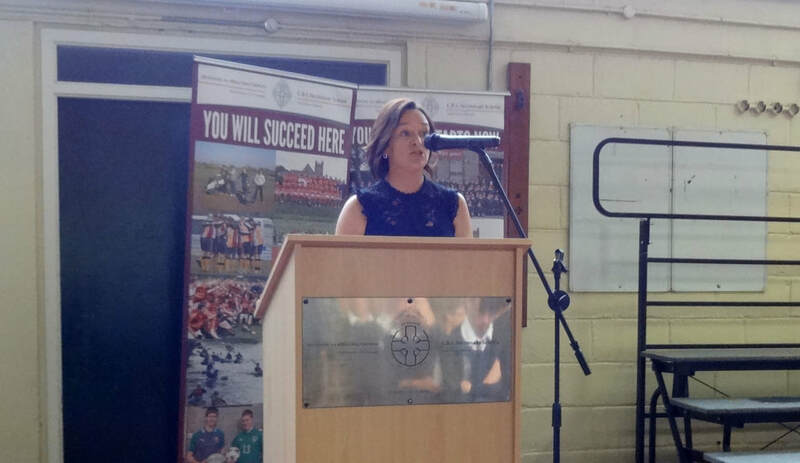 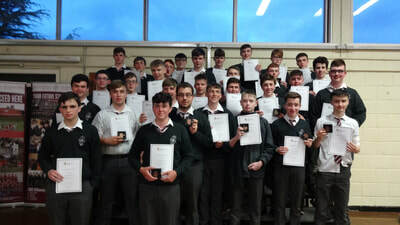 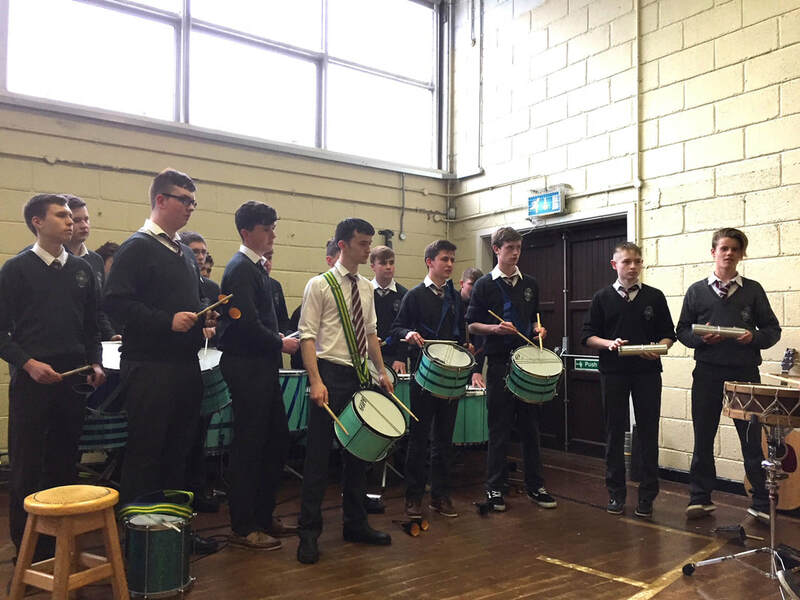 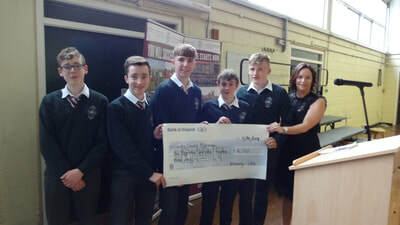 The TY Programme 2017-2018 culminated in a successful and entertaining TY Awards Ceremony on Tuesday 14th May 2018 in the CBS Kilkenny. 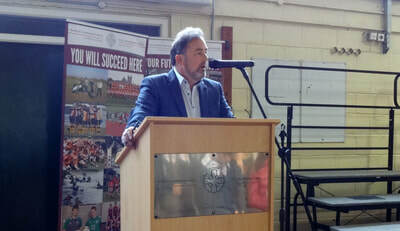 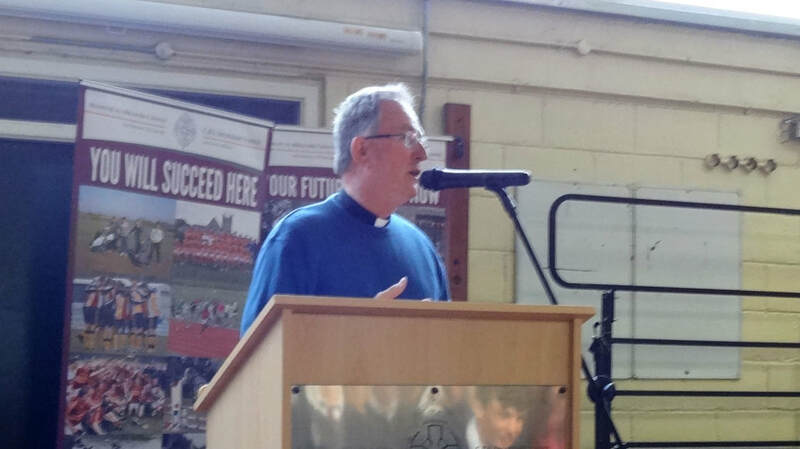 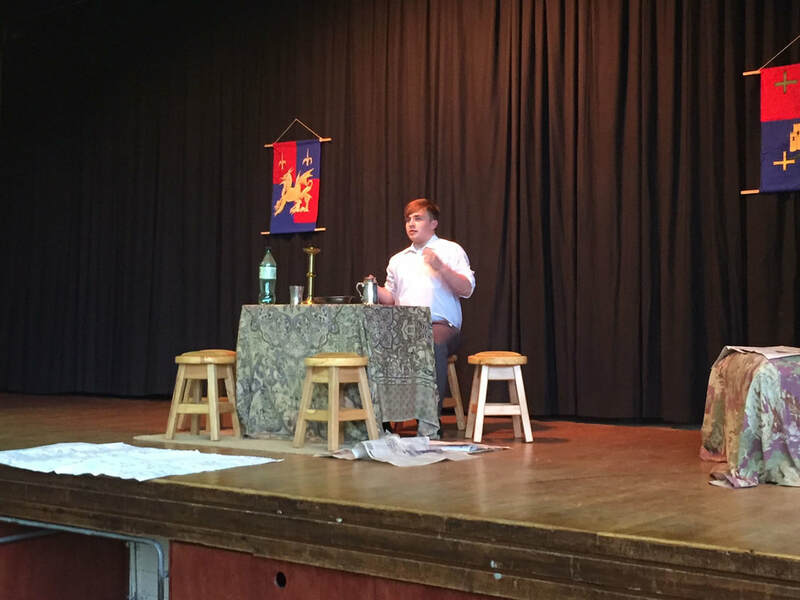 Master of Ceremonies and TY Coordinator, Mr. Gerard Morrissey welcomed the large gathering of TY students, their parents and guests and introduced the School Chaplain, Fr. 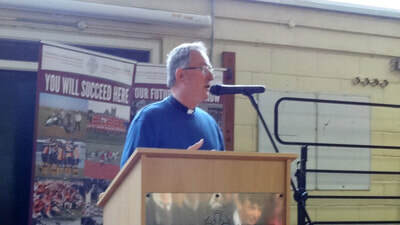 Jim Murphy who led the Opening Prayer. 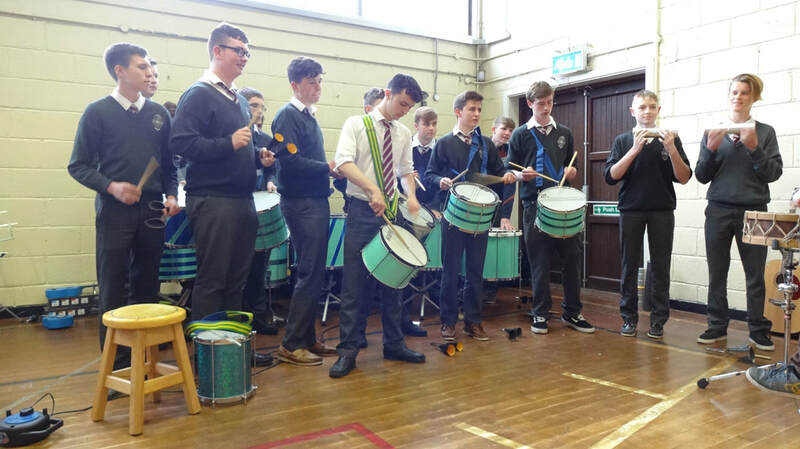 A rousing Brazilian Samba medley was presented by a group of students followed by Ms. Anna Colleton who led the Lourdes Pilgrimage 2018. 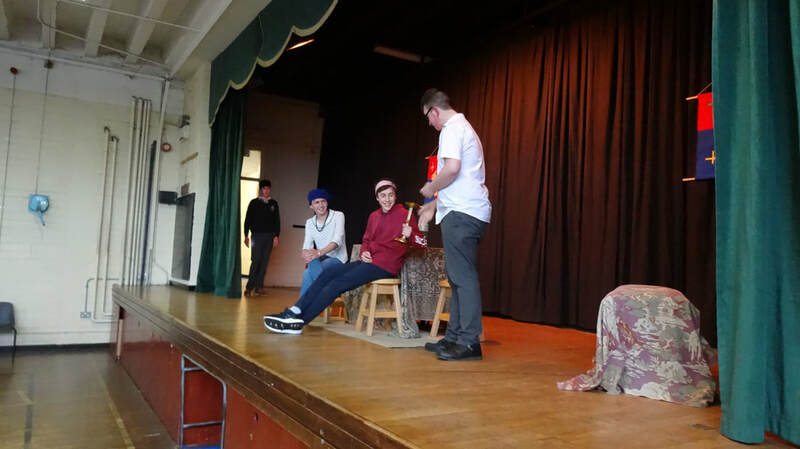 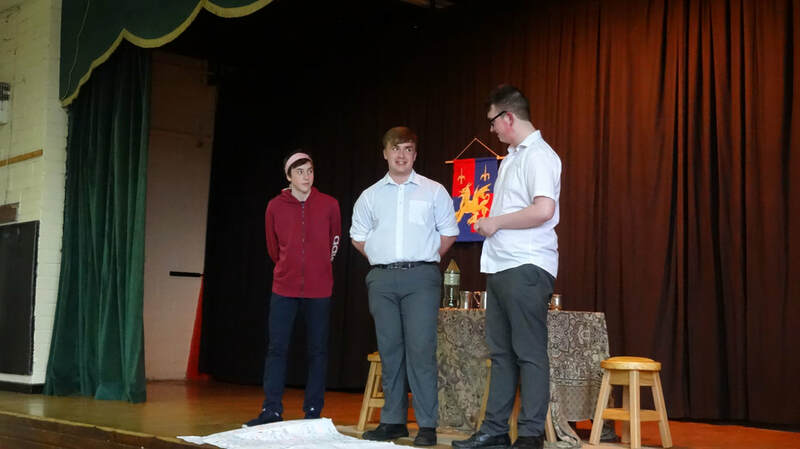 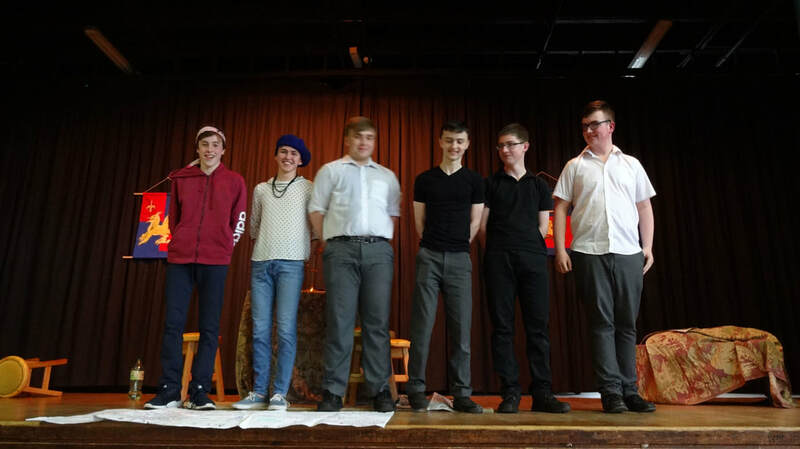 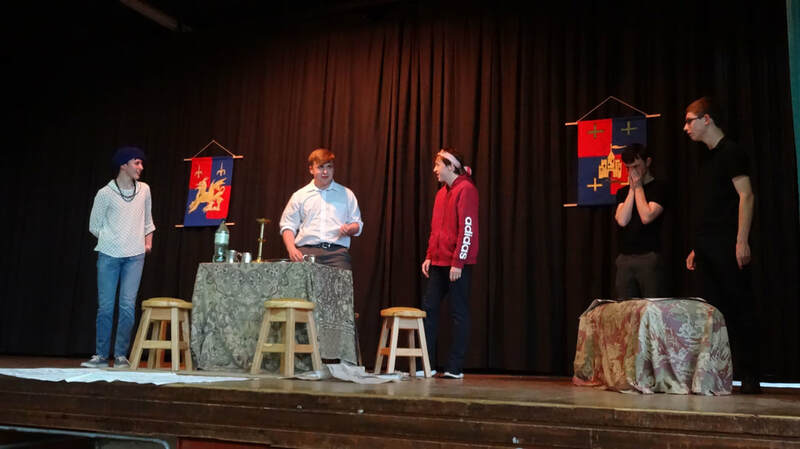 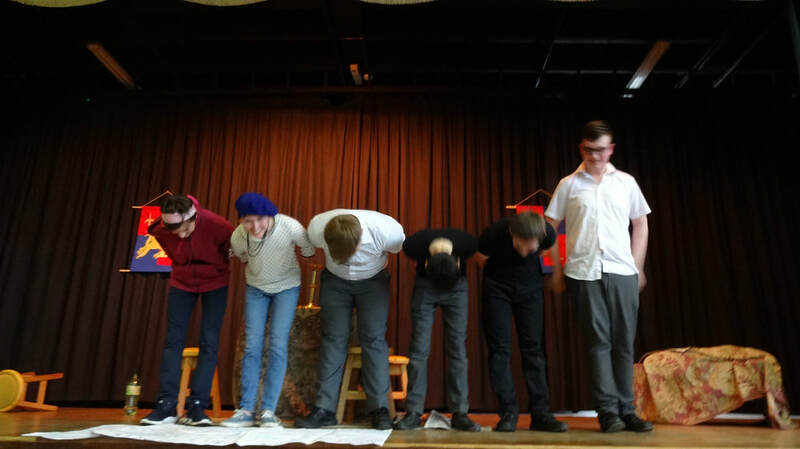 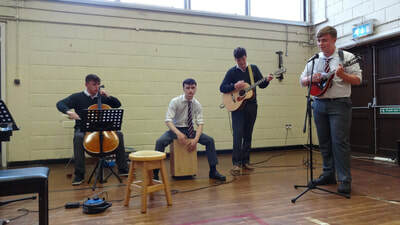 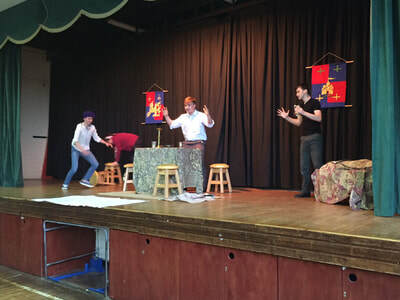 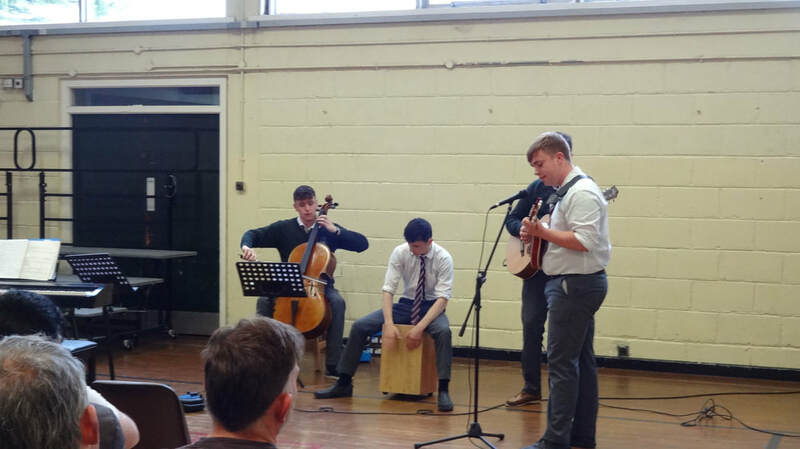 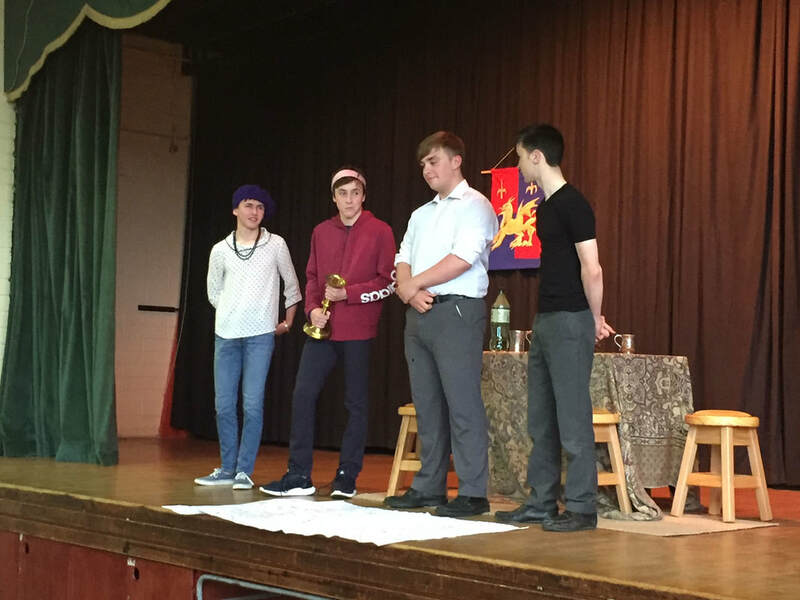 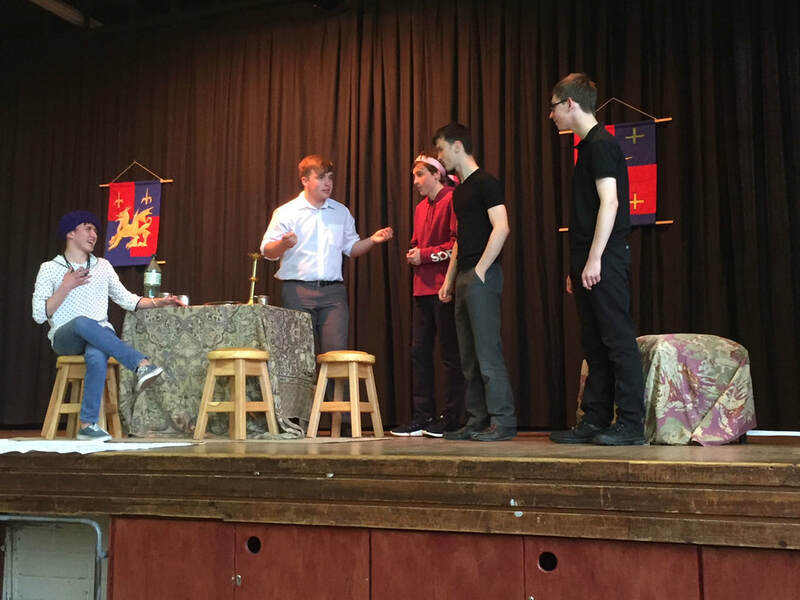 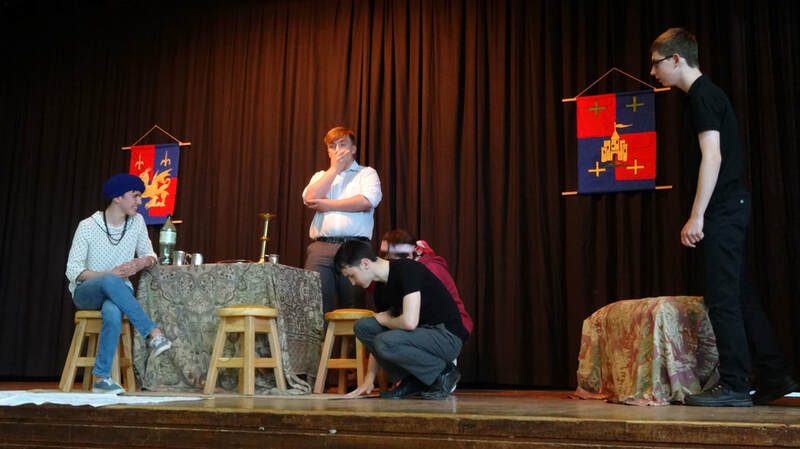 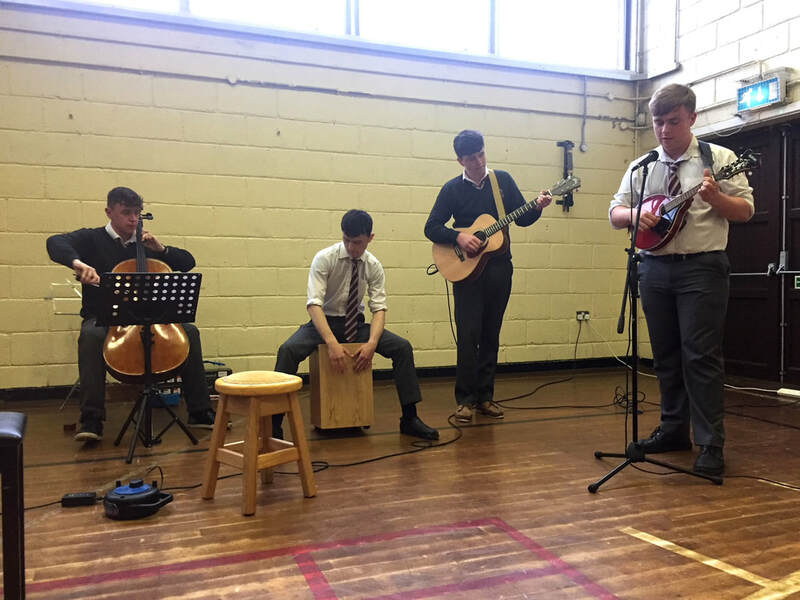 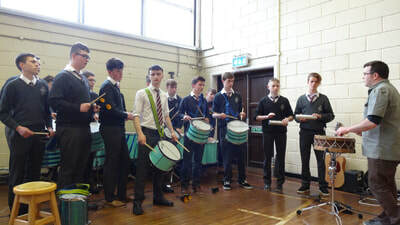 The TY Drama group then performed a short excerpt from their competition play "Easy Stages", followed by TY musicians with Pink Floyd's "Wish You Were Here". 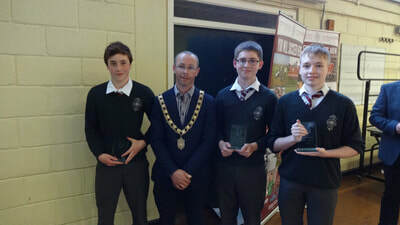 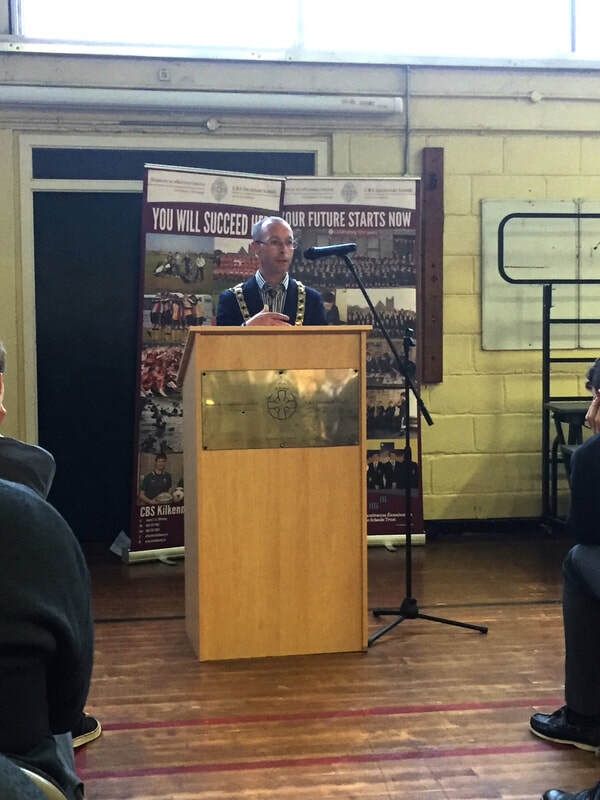 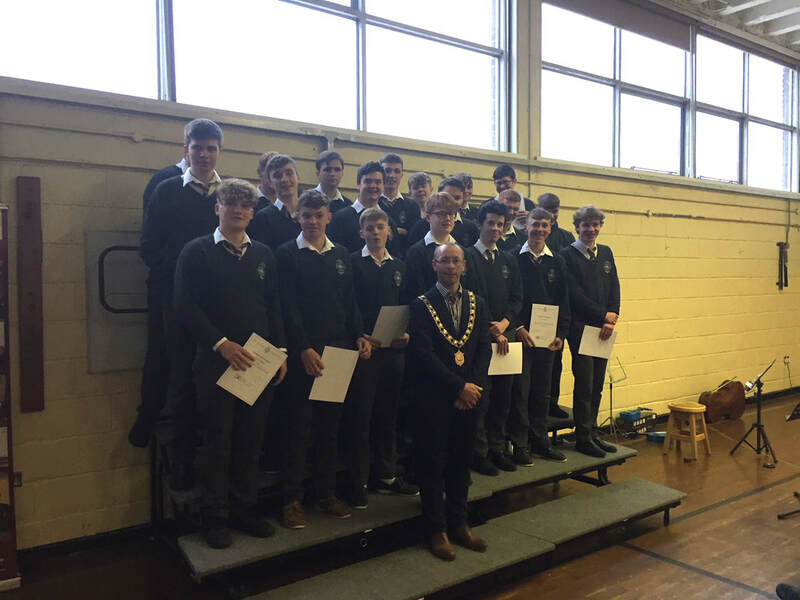 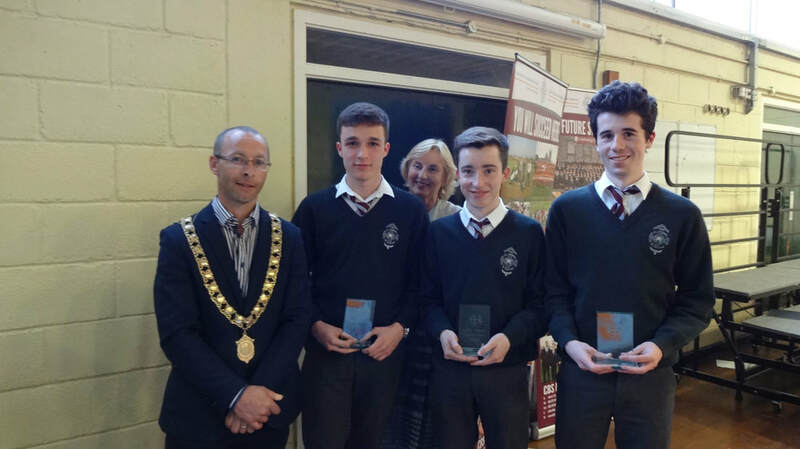 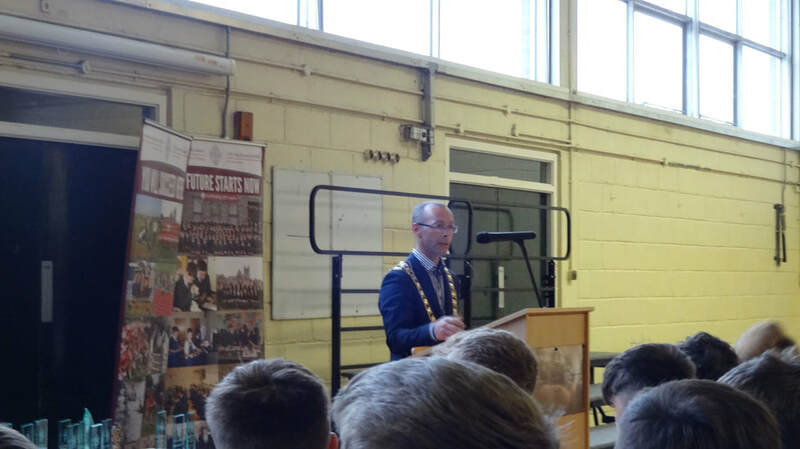 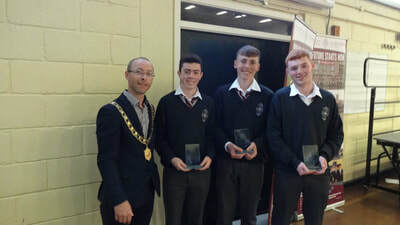 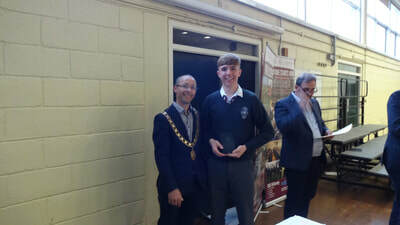 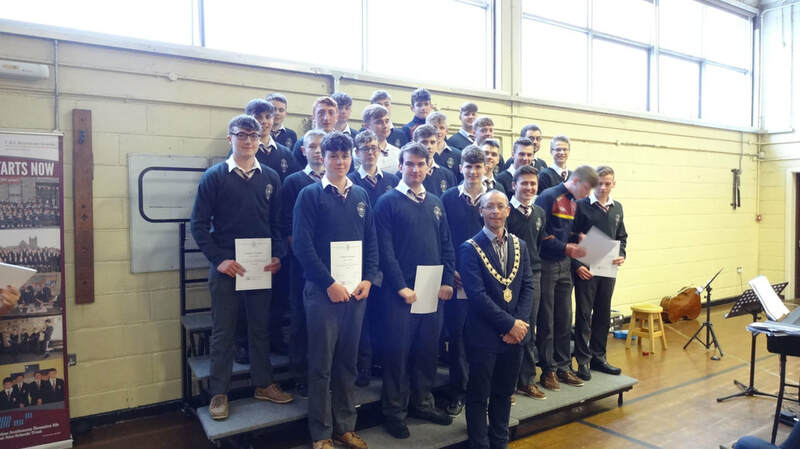 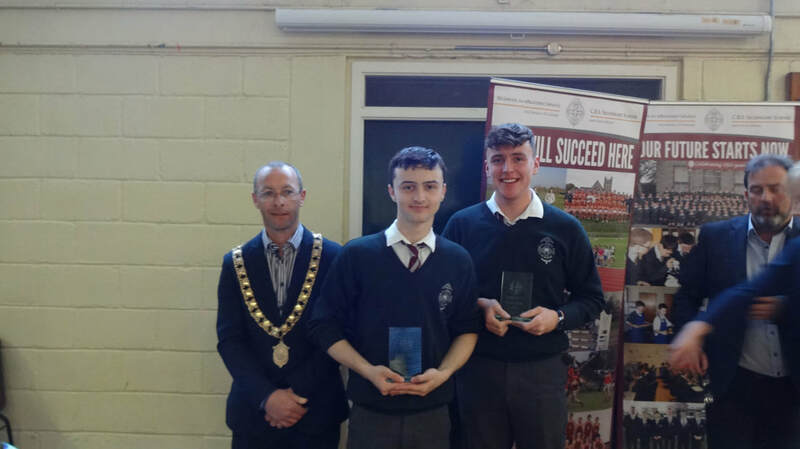 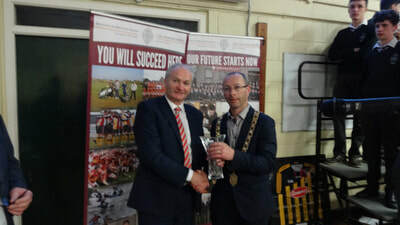 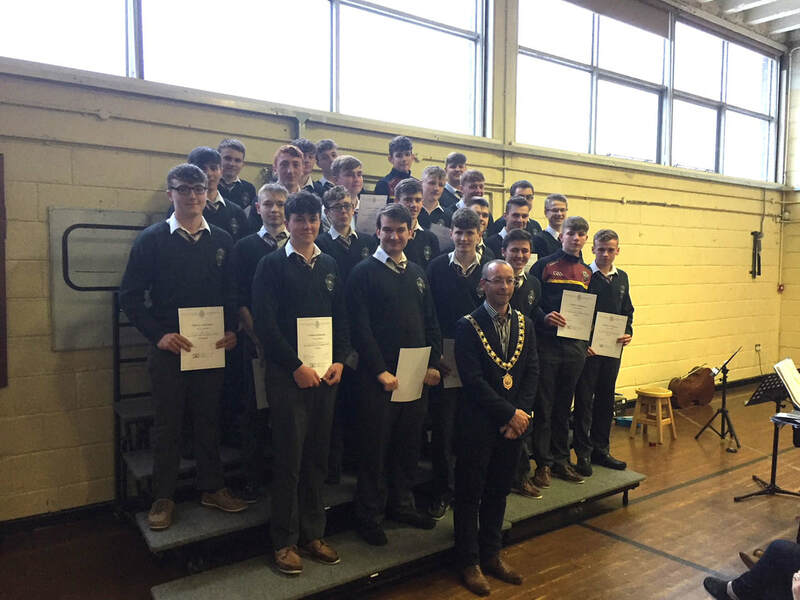 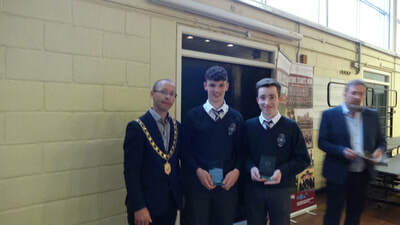 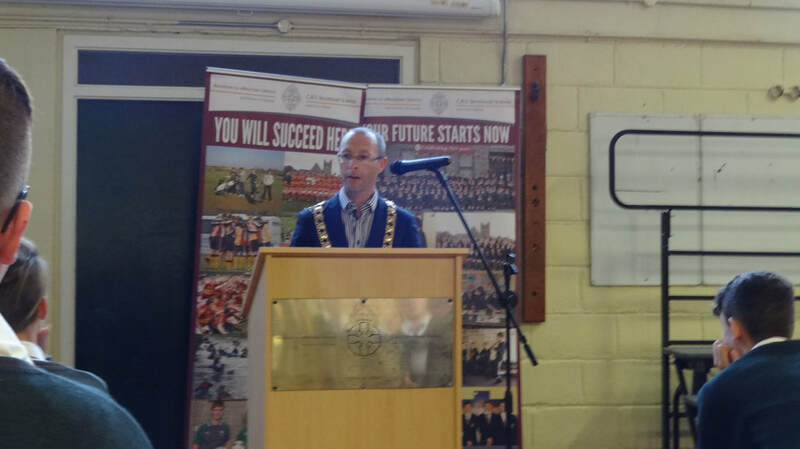 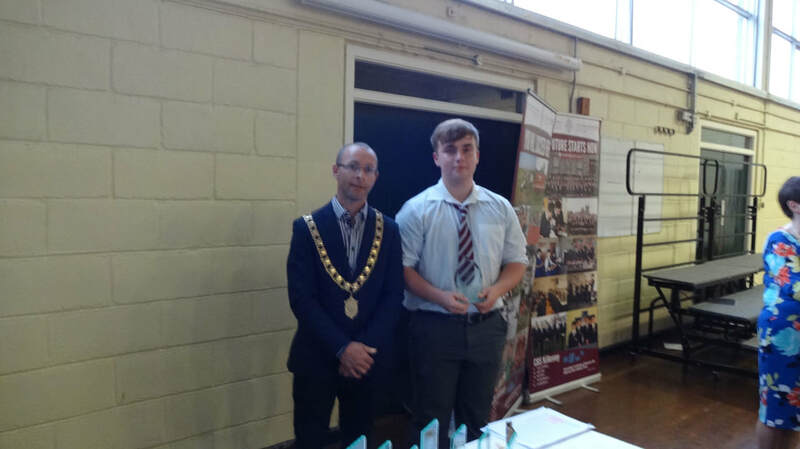 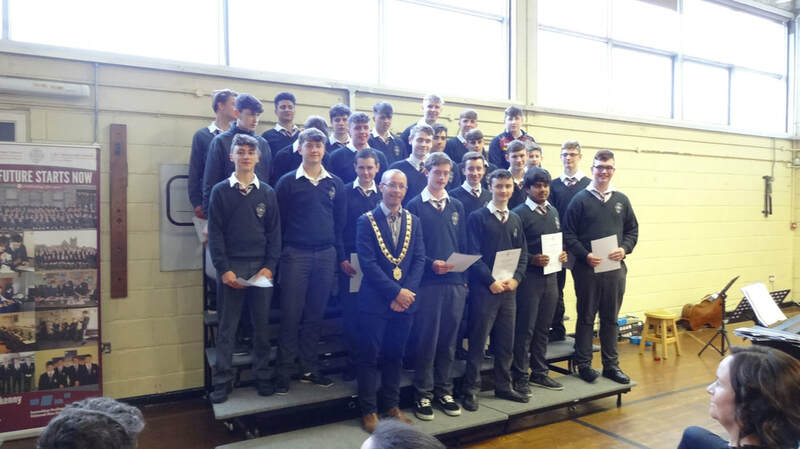 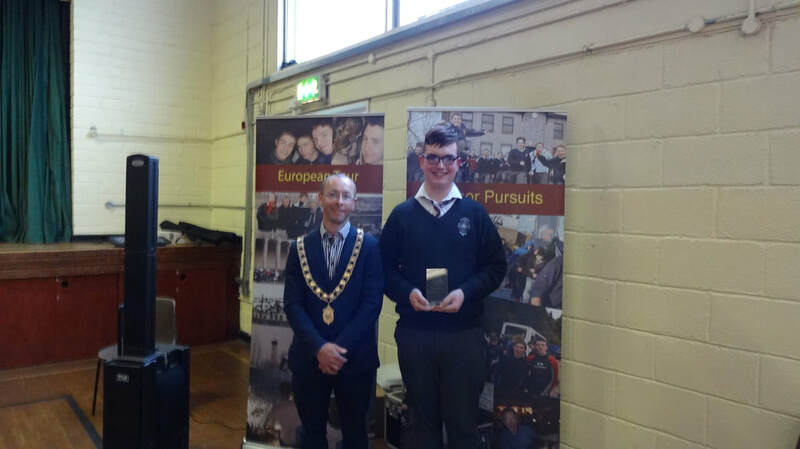 Guest of Honour, Mr. Michael Doyle, Mayor of Kilkenny gave the keynote address and the awards ceremony followed, covering all areas of school work and achievements over the last year. 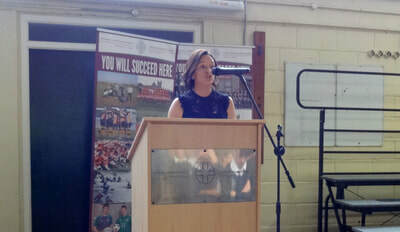 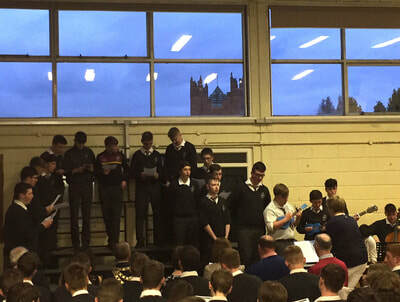 Ms. Anna Colleton led those present in remembering our beloved TY student, Colm Dunne, who died in April. His many achievements and his engaging personality and enduring spirit were fondly recalled. 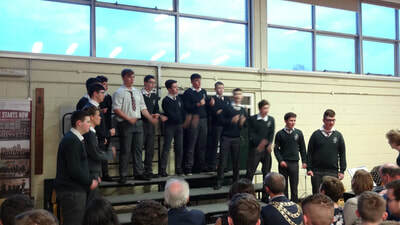 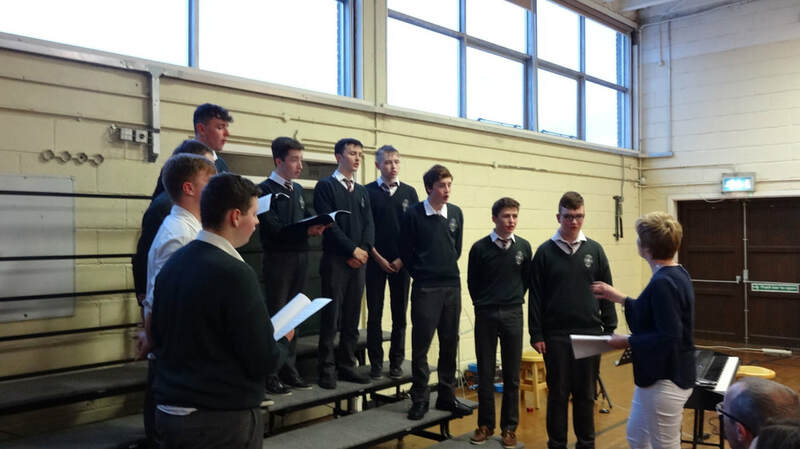 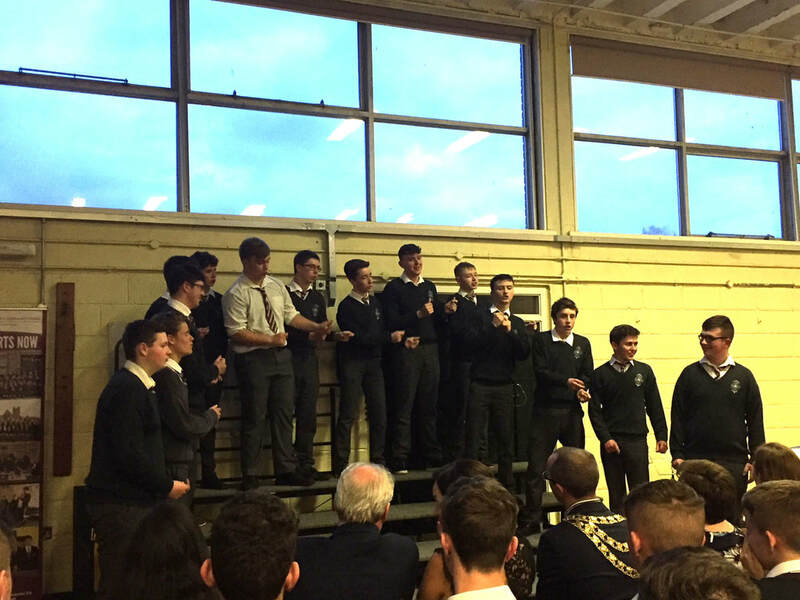 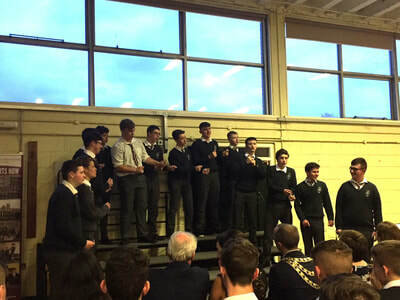 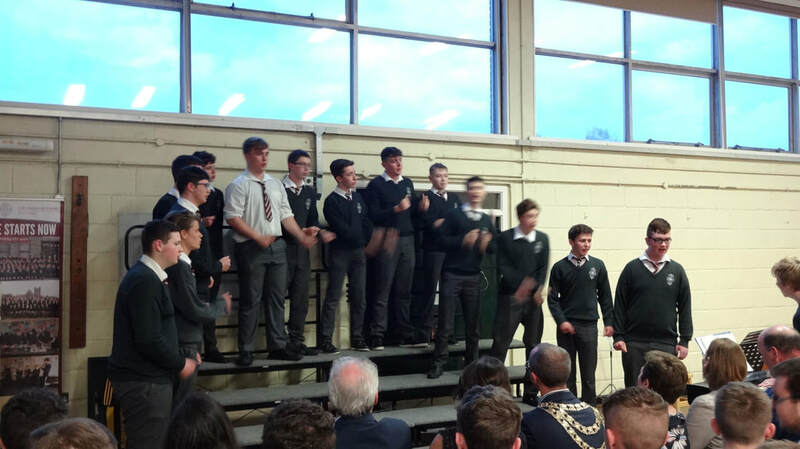 In memory of Colm, the TY choir sang "The Parting Glass". 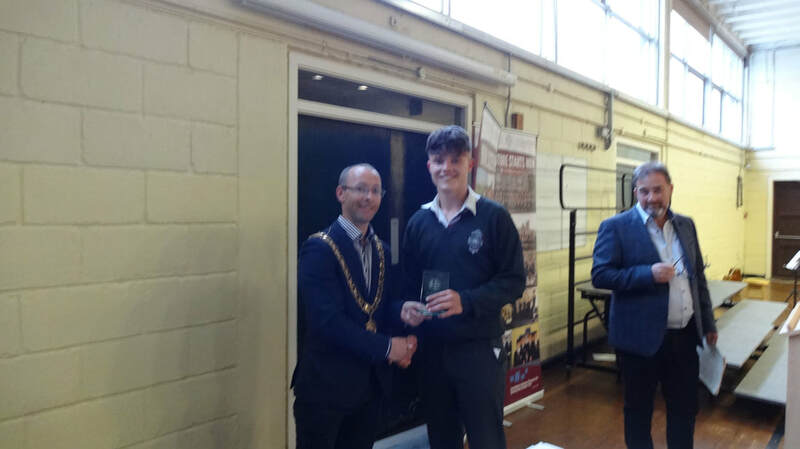 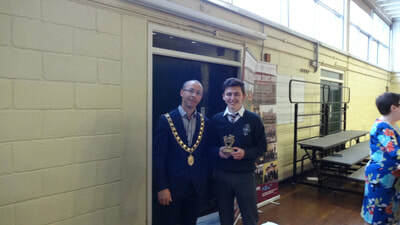 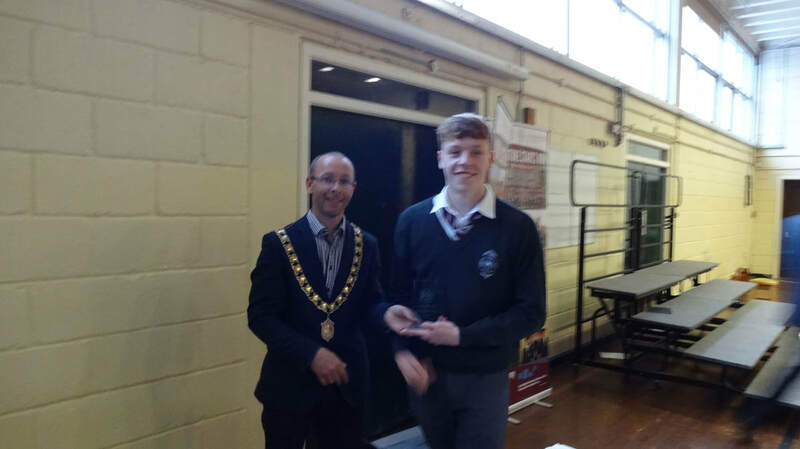 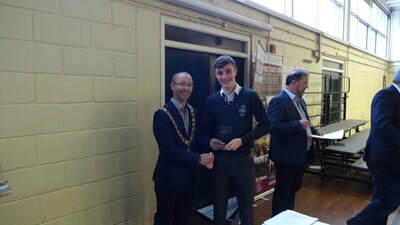 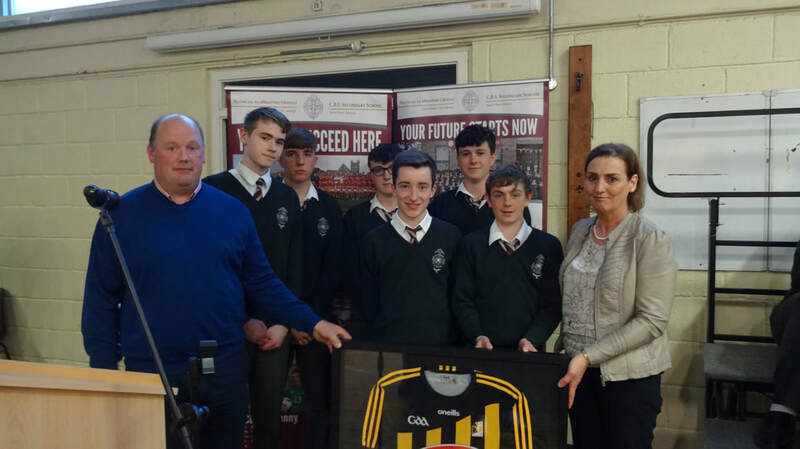 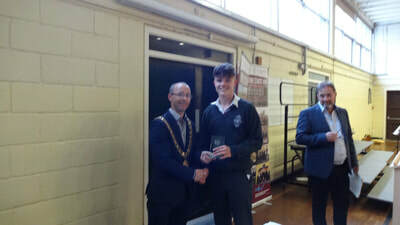 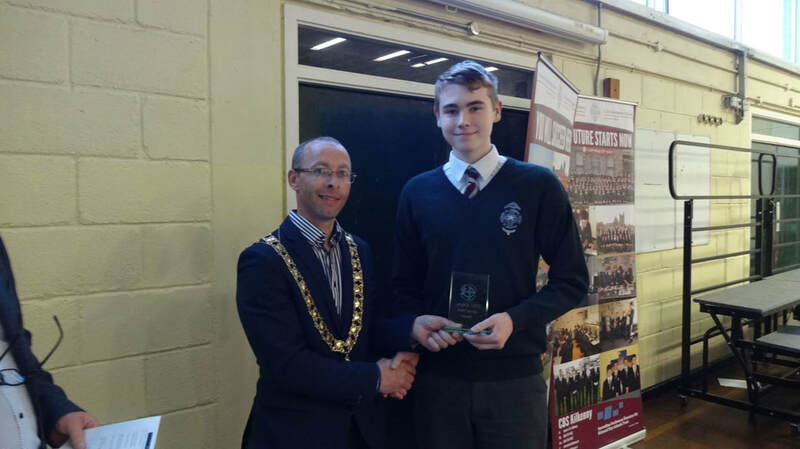 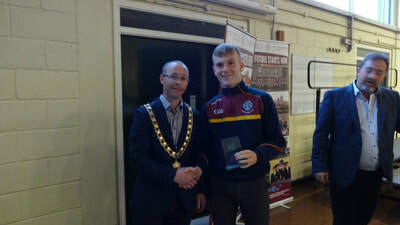 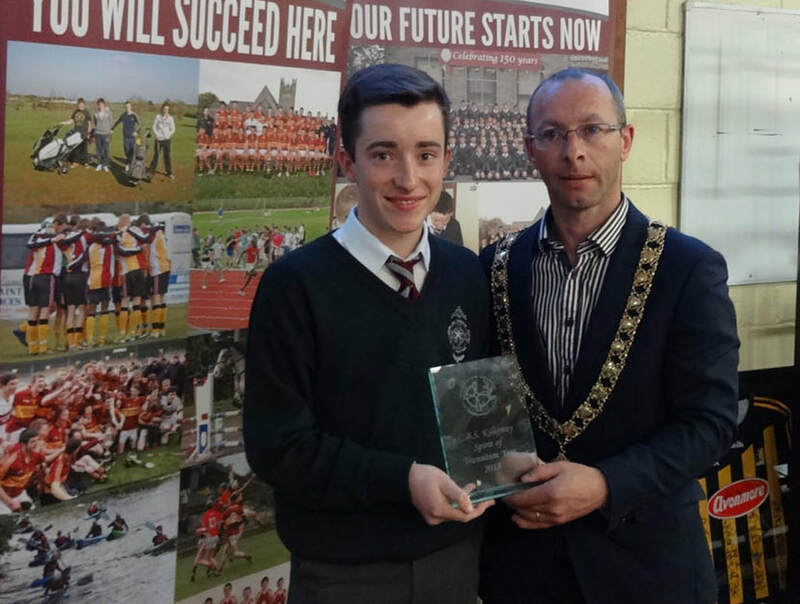 School Principal, Mr. Tom Clarke gave his address followed by the presentation of the "Spirit of Transition Year" award to Conor McCarthy. The evening finished with "Goodnight Sweetheart" and "Count On Me" from the TY choir and then the company adjourned to the Bialann for refreshments. 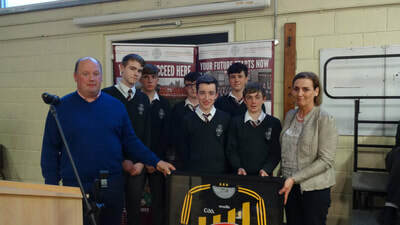 It was a thoughtful and delightful conclusion to a very busy year for everybody involved in the Transition Year Programme in CBS Kilkenny.